Is the tap dripping? Is the toilet tank leaking? Do you have a burned-out light bulb? Is there a blackout in your living room? Don’t you know how to fix it or just don’t feel like doing it? Don’t you know where to buy the proper parts? Or where to find a reliable English-speaking repairman? 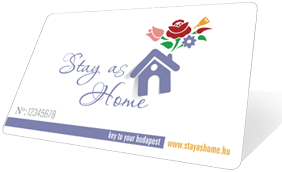 Stay as Home’s own professional crew will help you. Call our dispatcher at +36 20 935 0106 (mobile number), and they will send you the right repairman as soon as possible, who will also get the necessary parts at a low price but in quality, if needed. So you don’t need to keep a hammer, a screwdriver and 15 spare bulbs in a suitcase to be prepared for all emergencies, just enjoy the exciting Budapest life, and if you need technical support turn to us with confidence. Stay as Home!